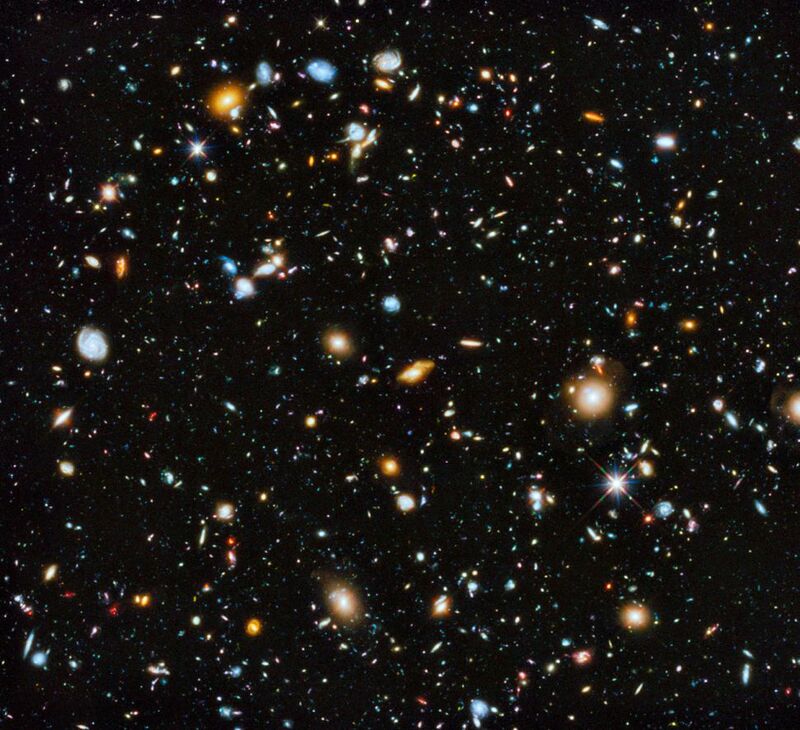 This image by the Hubble Space Telescope is the most comprehensive view yet of the universe’s evolution as seen by a space telescope. The colorful image, released June 3, 2014, contains 10,000 galaxies, with the different colors denoting different wavelengths. Still think we are special and alone? That makes it all better, huh? Better get our warp drive going Mable!